Interactions support Arabic language (R - L feature) and such other languages. The list is going to get bigger and better with time. The extended features are just one array of possibilities apart from the new interactions added to the already existing prebuilt +245 interactions. 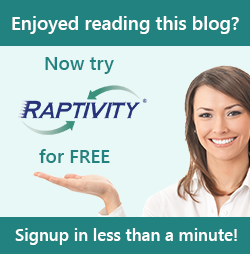 Doesn’t it sound like, you got to have a look at FlexiRaptivity and try it out? Well, if you don’t then certainly you are missing FlexiRaptivity’s unparalleled features. I reckon you to try it yourself. Take the 14 days free trial and become rapidly interactive with FlexiRaptivity Packs to start with.